Monday June 03, 2019 7:00 PM Join us for Game Night on the first Monday of every month at 7PM. Bring your favorite games or try one of ours. Grab your friends and a snack from our Café! See you here! Friday June 07, 2019 10:30 AM Join us every Friday morning at 10:30AM for our Friday Morning Storytime Spectacular. Perfect for children ages 2 to 8. 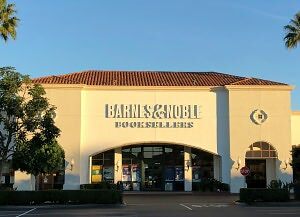 Saturday June 08, 2019 11:00 AM Join us the second Saturday of each month for a free reading to dogs program, "Paws to Read", in partnership with San Diego Love on a Leash. This monthly program utilizes certified therapy dogs to encourage children to read. As children and dogs bond over a shared story, their confidence and reading skills grow in a relaxing environment. Friday June 14, 2019 10:30 AM Join us every Friday morning at 10:30AM for our Friday Morning Storytime Spectacular. Perfect for children ages 2 to 8. Friday June 21, 2019 10:30 AM Join us every Friday morning at 10:30AM for our Friday Morning Storytime Spectacular. Perfect for children ages 2 to 8. Friday June 28, 2019 10:30 AM Join us every Friday morning at 10:30AM for our Friday Morning Storytime Spectacular. Perfect for children ages 2 to 8. Monday July 01, 2019 7:00 PM Join us for Game Night on the first Monday of every month at 7PM. Bring your favorite games or try one of ours. Grab your friends and a snack from our Café! See you here! Friday July 05, 2019 10:30 AM Join us every Friday morning at 10:30AM for our Friday Morning Storytime Spectacular. Perfect for children ages 2 to 8. Friday July 12, 2019 10:30 AM Join us every Friday morning at 10:30AM for our Friday Morning Storytime Spectacular. Perfect for children ages 2 to 8.